The very first moment Kato encountered Ahead Drumsticks he was convinced that they'd make a great pair. He was surprised by the “thick and fat sound” when he used Ahead Drumsticks for the very first time. When you use expressions like “thick” or “fat”, it may sound like it is not reacting well, but that's what he liked about them. 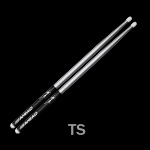 Ahead Drumsticks also have “sharpness” within, that make each hit pure and clear. He found wooden sticks too fragile and hard to find consistency from one pair to another, each one always so different. It is harder to choose one because you never know what you are going to get. Weights have to be equal and also balanced. He found that when using wooden sticks, he had to keep shaving the grips all the time for good performance. With Ahead Drumsticks, any stick he grabs out of the case has the same equal weight and balance. They are also very durable. 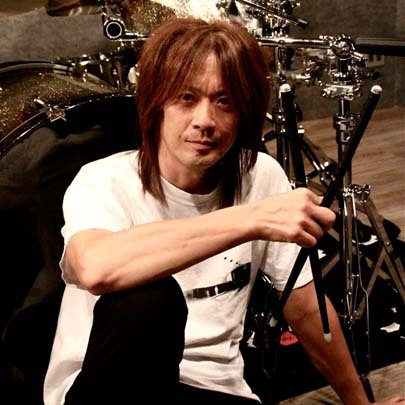 Kato has also been introducing Ahead Drumsticks to his students. Ahead can cater to a wide variety, from a young girl that just started playing to a heavy weight drummer. It is also suitable for every genre, hard rock, pop, power pop, ska punk etc. All of his students continue to use Ahead Drumsticks as they progress. Sometimes people hesitate to buy great quality sticks because they are not “good looking”, which is not a problem for Ahead since they all look so good. Kato believes Ahead Drumsticks are the best of all, no doubt about it. When he was 15, he started listening to Bay City Rollers, Queen, Kiss, and Aerosmith on the radio. His interests in the drums started at his Junior High Entrance ceremony, where he was impressed and amazed by the drummer of the brass band. Everyday after school, he ran into the music room and practiced rock drumming when the others were playing classical or pop. Upon seeing Cozy Powell's drumming in Rainbow, he started listening to Deep Purple, Led Zeppelin, and expanded his influence. He realized there were so many unique drummers out there and developed a list of idols such as John Bonham, Cozy Powell and Jeff Porcaro. He formed a rock band and played live during his high school years. After graduation he started to play sessions with several bands mostly in Kyoto (Kansa). His funk-taste rock band built up a good reputation and moved to Tokyo to sign with Rebel a few years later. They then debuted an album with pop-rock band "Replica". After awhile, he went back to his classic rock roots and realized the importance of having a unique sound, even if you are playing as part of a band.